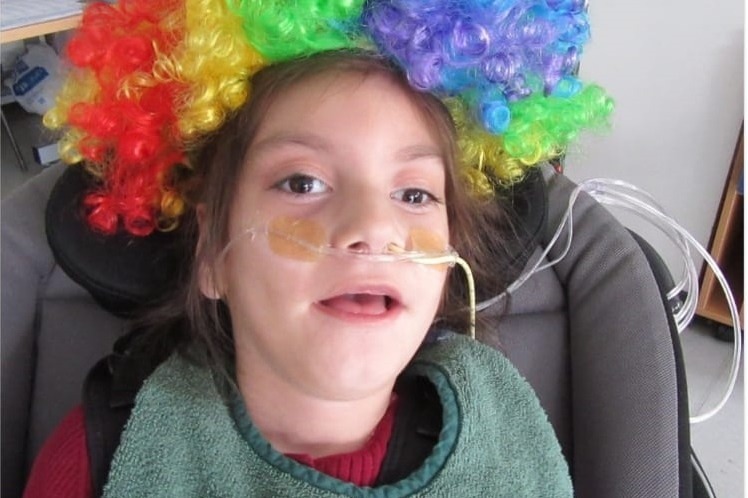 My doughter's has cerebral palsy and epylepsy. She is on oxygen . Her wheelchair frame stolen in front of our house. We just prepare her to school leave the outside for 10 min. In 10 minutes somebody stole it.Unfortunately police didn't find anything. 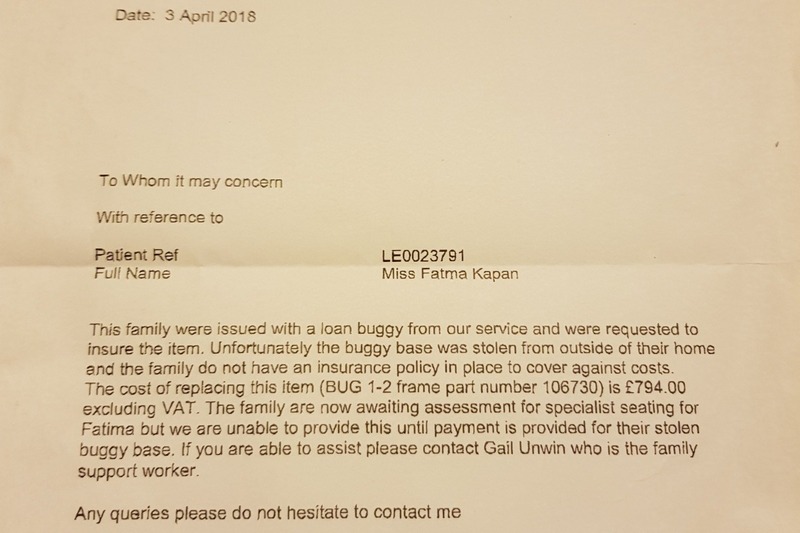 Wheelchair service want to money back for frame . They invoiced us for £790 . See missed school till we arrange a temporary one from New Life Charity. Temporary one's loan finishing next week. Thay can't extend. Wheelchair her indepence. She can't do anything without it. I can't sort that money. I need help for my daugher.